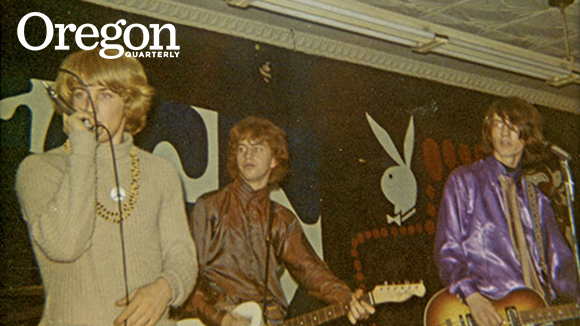 In June 1967, I was 17 and the lead singer in the Seeds of Doubt, a central Illinois teen band. A bunch of us rock-and-rollers gathered at a quiet farmhouse outside town to listen to the Beatles’ Sgt. Pepper’s Lonely Hearts Club Band for the first time—and we knew, without anybody saying anything, that something fundamental was shifting. That same month, our band’s manager made a pilgrimage to the West Coast to experience the Monterey Pop Festival. He returned with tales of psychedelia, the outrageous music and styles of, in particular, Jimi Hendrix, Janis Joplin, the Who, and Otis Redding. The cultural rebellion that had its roots in the existential alienation of the Beats, the grinding sexuality of blues and early rock, and the nihilism of teen rebels without a cause was flowering into a dazzling, colorful movement that beckoned young people all over the world. Something was shaking, though we didn’t know exactly what it was, 2,000 miles from the epicenter in the San Francisco Bay area. But we wanted to be a part of it. We changed the name of our band to the Seeds of Love and added covers of Hendrix, the Grateful Dead, and Buffalo Springfield to our set lists, along with our own extended jams. We traded our jeans and T-shirts for flowing purple and gold blouses, striped and flared-out pants. Hashish and pot added a new dimension to our regular, and also illegal, consumption of too much beer. Here’s what else was happening in June 1967: 929 American soldiers died in Vietnam and the US was in the midst of the Rolling Thunder bombing campaign over North Vietnam, which would drop close to a million tons of bombs and kill 182,000 civilians. Rev. Martin Luther King Jr. declared in a televised interview, “That dream I had that day [of the March on Washington in 1963] has at many points turned into a nightmare,” as the racism of poverty and economic injustice proved even more intractable than legal segregation. In July, the Beatles followed up Sgt. Pepper’s with the single “All You Need Is Love,” a catchy tune—and true in some ultimate sense. But as riots flared in Newark, Detroit, and other Black communities, and the war continued to escalate, I came to believe that the love we needed was not a passive sentiment but an active engagement. In October, I went to my first antiwar demonstration and signed a pledge to resist induction into the army. I worked with Black students at my high school to try to address deep, long-simmering racial divisions. And I kept singing, believing that, too, was part of this thing that was happening that we were now calling a revolution. Eventually, I left the band and Illinois to go to college in Boston, where, I thought, both the cultural and political revolutions were being waged at a higher level. I found a tribe of people who shared my “hippie militant” (freak) orientation. We fought many battles and got knocked down pretty hard. We left that scene as a group, landing in a beautiful mountain valley in southern Oregon, where we tried to build a commune that would be both an experiment in radical living and a base for challenging the prevailing system. We failed. But most of us have never stopped trying, somehow or other, to keep alive that dazzling, dancing promise of lives dedicated to a common love, alongside the righteous resolve to resist the forces of greed and intolerance and violence. For some, the thing called the Sixties was just another version of youthful folly, to be cast aside when life got real. For others, it was an awakening that changed our lives for good. For us, the struggle continues. My wife and I, companions throughout most of this long, strange trip, have a 2’ x 3’ sign in the front window of our central Eugene home: Love and Resist. Now as much as ever. Guy Maynard, BS ’84, was editor of this magazine from 1995 to 2012 and is the author of The Risk of Being Ridiculous, a novel set in 1969–70.